Reserve your suite now and save up to 50% off brochure prices and $1,000 onboard spending credit on select Europe Cruises. Fly Free and Save up to 50% on Europe Cruises brochure prices on select sailings when booked by February 28, 2010. Book by March 31st, 2010 on Europe Cruises and receive FREE Air, FREE Unlimited Shore Excursions, 2-for-1 Fares, and up to an additional $1,000 per person savings. 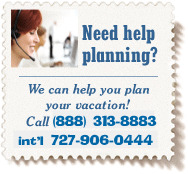 Book your 2010 Europe Cruises now! Starting from $799 per person.